WordPress allows you to write and schedule up to 100 articles in advance. The simple and powerful scheduling feature can help you manage content better, stagger multiple posts on different days, and take advantage of optimal posting times – all without any additional plugins. 1. 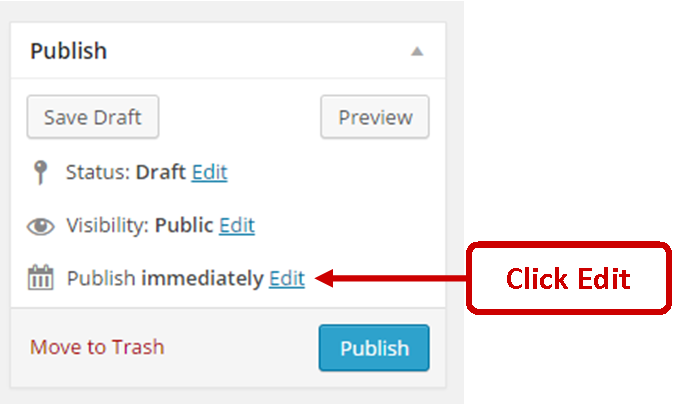 Finish writing and editing your article in WordPress. 3. Select the Date and Time you want the article to be automatically posted. Click Ok.
4. 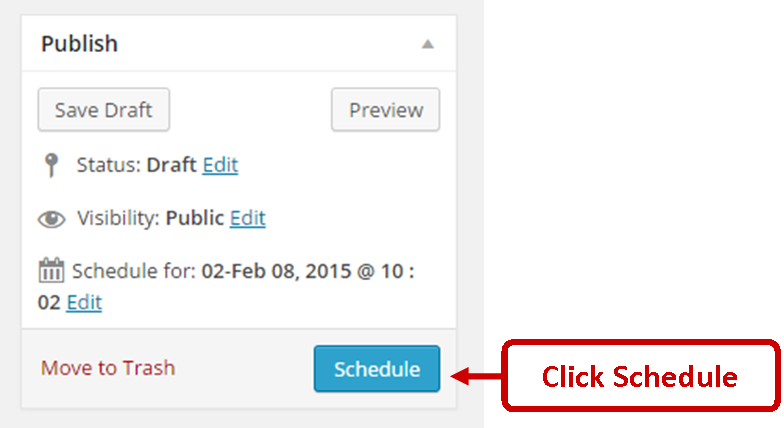 After step 3, the label on the big Blue “Publish” button will change to “Schedule.” Click Schedule. Done! You just scheduled your article for automatic posting on the day and time you selected. Settings > General – from the drop down list of options, choose a city in your same timezone. Once you’ve scheduled a post, you’ll notice that a new category of “Scheduled Posts” appears on your Main Posts page where you can manage and update the schedule. Contact the WordPress experts at Juice Marketing. Whether you need new content for your blog, a complete website redesign, or just a little help with WordPress, we’ll provide the guidance you need to generate more traffic and leads. Put Some Juice Your Marketing!